Personal branding during the job search is a hot topic for job seekers right now. They are urged to increase their online presence, develop and promote a professional persona and do it all in a way that positively impacts their career path and goals. Just as job seekers are being urged to develop a brand, so too are companies. A company brand establishes your reputation in the industry, increases your visibility in the job market and sets a tone for your company culture and goals for current employees, new hires and job candidates alike. Fortunately, Spark Hire makes establishing a company brand during the small business hiring process simple. Build your company profile page. Besides providing concise, interesting information about your company, it’s important to include visuals like the company logo. Also, this is a good place to advertise your online presence as well. From this page, job candidates can link up with your Facebook, Twitter and Google+ pages. Post job descriptions for open opportunities. Providing a job description for candidates enables you to advertise requirements, set a standard for expectations and find the most perfect fit as quickly as possible. All of this helps to elevate your company brand as well. You set a tone for the type of talent you’re looking for as well as promote the work ethic necessary to succeed within your company. 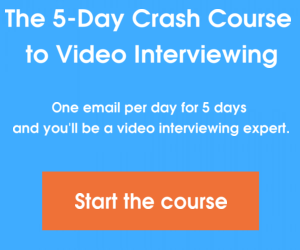 Conduct video interviews with your brand front and center. Spark Hire allows employers to customize their own video interview landing page. Regardless of where job candidates found the job posting, each one will spend some time on this page during the small business hiring process. It’s the perfect place to showcase your company brand. Spark Hire encourages companies to post their logo, description and job requirements and responsibilities to this page, which helps to educate job candidates as to who and what the job interview is for. Essentially, it’s the last and most comprehensive component to establishing a company brand and to creating a seamless application experience on Spark Hire. Establishing a company brand or image online is vital to constructing your reputation, engaging in and outside of your industry and attracting top talent. However, you don’t have to be a webmaster or social media guru to effectively create and manage your company brand. Spark Hire makes it easy for anyone or any company to start building their company brand.